Following the success of our first production, The Lovers of Viorne by Marguerite Duras we are excited to tell you about our next production, which runs from October 18th (preview) until November 5th. The Press Night will be on October 20th. This is a double bill. 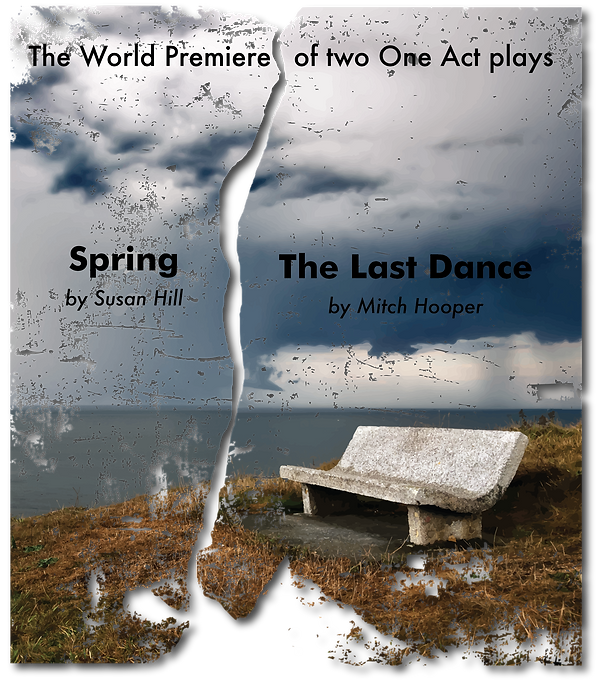 In the first half a play by Susan Hill (‘The Woman in Black’) entitled Spring, and in the second half a new play by Mitch Hooper, entitled The Last Dance, both directed by Harry Burton and designed by Emmet Demonterey. Linked by ocean sounds and the figure of a silent female listener, SPRING, and THE LAST DANCE, seem to me a potent, poetic pairing. The Girl in Susan Hill’s SPRING contemplates the life behind her, and the life that lies ahead. She is walking the precarious bridge from early adulthood into the period where convention dictates a settling down, a pairing off, the sacrifice of youth to the need for the world to be peopled. But although the sea air on a clifftop in spring gives the feeling of a hopeful season to come, she is far from care-free. The man she loves is a creature of brutal shift-work and habit. Her Irish home-life offers scant inspiration. Is this all she has to look forward to? She shares her rolling thoughts as the swell rolls into the bay. Listening without comment, and perhaps without judgement, is an Older Woman. And it is into older age that Mitch Hooper’s THE LAST DANCE takes us. A married couple look out to sea and contemplate the reluctant departure of one partner before the other. 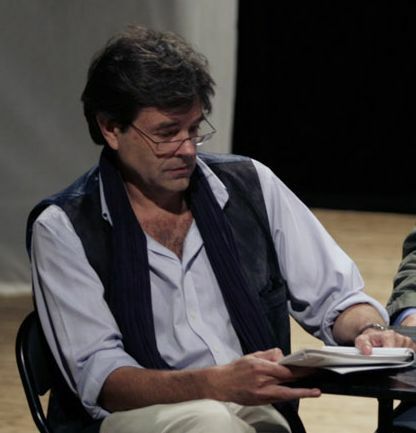 The audience witnesses a conversation that may be one of the last. “Marriage is an ordeal” said mythologist Joseph Campbell, “in which two people go through everything together.” Complete honesty between lovers is a high ideal. But what if, in sharing the truth of one’s deep hidden self, more damage is done than good?